Sometimes, it is good to just get back to the basics. I realized the need for this when I met one of my friends over the weekend who was totally clueless over the fact that why at all we pay any taxes and how Income Tax is calculated. So, this post will attempt to share some basics of it. It is a tax imposed by the Government on the income of people/ partnerships/ companies etc. It is one of the direct taxes applicable in the country, which means that the tax is to be borne by the payer himself. It forms a major chunk of the Govt. revenues. Income Tax Act, 1961 and Income Tax Rules, 1962 are the statutory pillars of the principles of the Income Tax and thus, govern the procedures and calculation of the taxes. How often do the Tax Rates Change? The changes are usually made in the Union Budget presented every year by the Finance Minister in the Parliament. From this year, there was a change in the precedence and the Budget was presented on February 1 instead of last day of February in the earlier years. The rates as applicable for the next year are generally announced in the budget speech. Are tax Rates equal for everyone? The taxpayers are classified into different categories like individuals, Hindu Undivided Families (HUFs), partnership firms, companies etc. 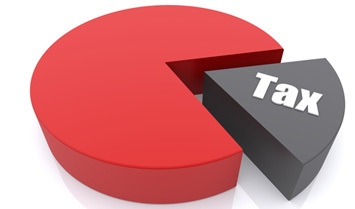 Under a broad framework, different taxpayers are subject to different tax rates. Further, for individuals and HUFs, a basic exemption limit is provided under which annual income up to a certain limit is exempt from income tax. The exemption limit at present is Rs. 2.50 lakhs. However, there is a higher limit for senior citizens. Beyond the basic exemption limit, different tax rates are applicable at different levels of income. For partnership firms, limited liability partnerships (LLPs), companies etc., the income is taxed at 30%, except NGOs, charitable trusts etc. which are taxed at nil or lower rates of income tax. How to submit Income Tax Details to the Department? The details are submitted to the Income Tax Department by way of filing of Income Tax Returns (ITRs). ITRs are the specified forms required to be submitted every year to forward the details of annual incomes and receipts. It contains a summary of the taxable incomes and taxes paid by people/companies/ organizations in a prescribed format. Pledge to file your tax details on time now. Income Taxes should not seem much taxing to you now.